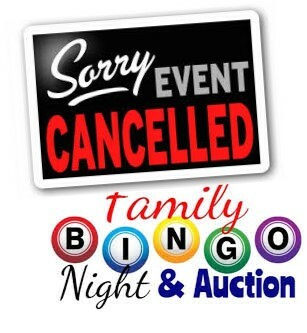 The Chaboya PTSA regrets to inform you that we have to cancel Bingo Night for tomorrow evening, March 15th due to low pre-sale numbers. We had to take a hard look at costs and it just was not worthwhile. For those who already made Bingo Night purchases in advance, we will refund your money. We were also planning to hold our PTSA Association meeting prior to the event and due to projected attendees, we are concerned about reaching a quorum so considering our cost issue as well as our quorum predicament the PTSA Board decided to cancel the event and we will reschedule the PTSA Association meeting to another date. We apologize for the inconvenience! The online auction site is still in the works and we will send out the link as soon as possible. We can still have success from auction sales as 100% of proceeds will go to Chaboya! Thank you all for your understanding and for your continued support for our school and its programs! 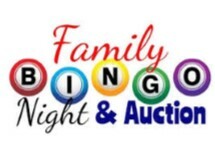 10th ANNUAL AUCTION & BINGO NIGHT! Cash, Check and Credit Card accepted at the event. $20.00 - Bingo Deal #1 - includes 1 water, 1 cookie, 5 raffle tickets, 1 bingo card pack and your choice of one personal cheese or pepperoni pan pizza from Pizza Hut. NOTE: Raffle Tickets only available via this Bingo Deal#1 package. $10.00 Personal Pan Cheese or Pepperoni Pan Pizza from Pizza Hut. NOTE: Personal Pan Pizza's Only available via this Pre-order form. BINGO card pack now for only $5 each! ($10 each at event). We need your help by volunteering or donating prizes & snacks. Please help Chaboya make Auction & Bingo night a Success and click on the link below to sign up. Even if you are not attending please consider making a donation. Your donation does not just help with BINGO, but this is Chaboya's Winter fundraiser and helps make sure that Chaboya can maintain all the offerings from PTSA and continue to enrich our classrooms annually. Your donations help with the overall experience that all of our students have. So please make a small or large donation today! Chaboya really needs your support!